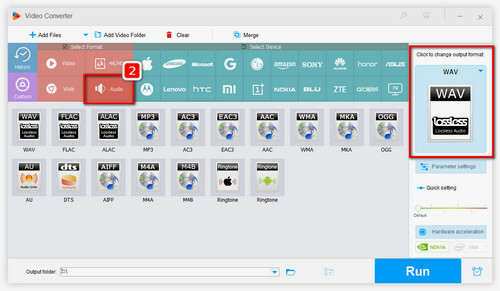 Free Download the Simple and Effective AVI Audio Extractor. Perhaps you have some Vevo music videos, audiobooks, talk shows, celebrity speeches of .avi format and you want to listen to them while you are driving or on a subway without playing videos. In that case, it is a necessity for you to find a tool to extract audio from AVI. A good AVI audio extractor should be clean, simple, efficient and able to extract the audio files with its original quality preserved. 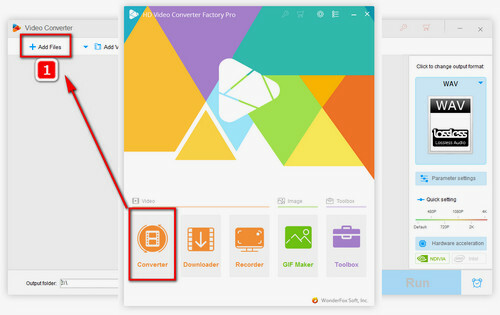 HD Video Converter Factory Pro allows you to extract audio from videos effortlessly. With simple operation and short process, you’ll get a satisfying result. 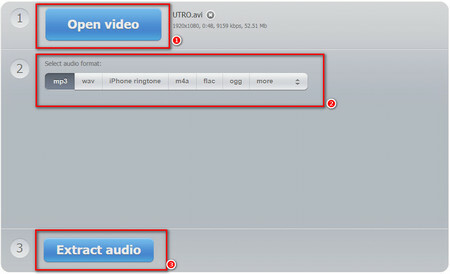 Besides, it can convert the video/audio to 300+ formats and devices like iPhone, iPad, Android devices, etc. 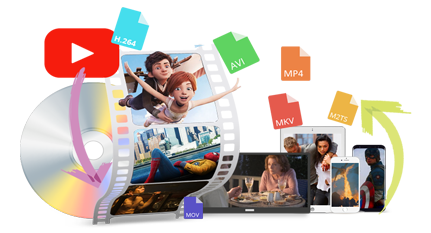 HD Video Converter Factory Pro is the best video to audio converter software that allows you to extract audio from almost all popular formats with original quality preserved. In addition, it supports a large number of output formats as well as popular devices. With the support of NVIDIA® NVENC, CUDA and lightning-fast conversion speed drove by WonderFox exclusive video encoding technology, HD Video Converter Factory Pro stands out from the rest among variety of video converters. Before start, please free downloadfree download the software. Click on the “Add Files” menu bar to import the source file from local. Then click on the “Output format” section at the right side of main interface and the format selection window will pop up. Choose the output audio format at the red “Audio” section. Click on the corresponding icon after deciding the output audio format you want. You will go back to the main interface after that. For those who are not familiar with the features of different audio formats, there are two recommended formats for you to choose. WAV: Lossless audio format, high quality, large file size, suitable for people with high audio quality requirements. Software additional functions that you might need for AVI to WAV conversion: convert audio sample rate. MP3: Minor quality loss, small file size, best compatibility, suitable for portable devices. Software additional functions that you might need for AVI to MP3 conversion (which is a faster and more commonly used way): reduce audio file size, cut audio files, convert MP3 to iPhone ringtone. Click on the “Settings” button to go to setting window and customize audio parameters. Click “Ok” to save the settings and click “Run” on the main interface to start the extraction. You’ll be noticed whether to open the output folder after the extraction is complete. The main function of VLC Media Player is to play media files as its name suggests, it’s a completely free and powerful video player that supported by extensive devices. The versatility of VLC Media Player is incredible, you can use it to merge videos , convert video to other formats and etc. 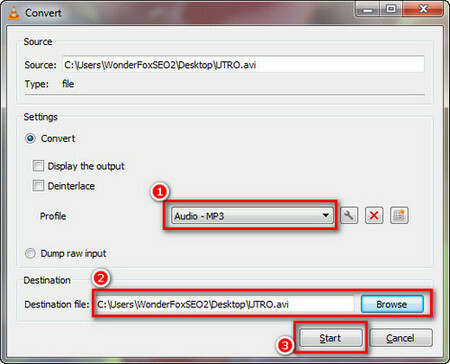 Now we will take advantage of its additional function to rip audio from AVI files as follows. Download and install VLC Media Player first to get started. Go to “Media” window and select “Convert/Save” or use hotkey “Ctrl + R” instead. Click on the “+Add” button in “File” tab to import the source file from local. Then click on the “Convert/Save” button. There are three forms of output formats for you to choose at the “Profile” frame: encoder and format, device or website upload standard. To extract the audio files only, choose the audio format that you prefer, click “Browse” button to choose the destination file, then click “Start” button. Audio Extractor is a web-based AVI to audio converter. It’s a convenient way to extract audio from small video files when you don’t mind the audio quality. Open the website http://audio-extractor.net to get started. 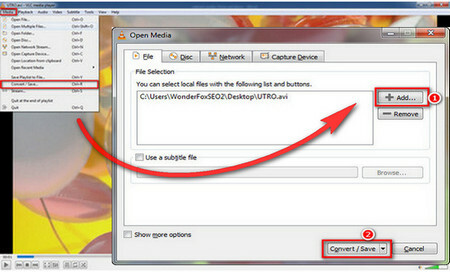 Click on the “Open video” button to upload the source file from local in a few minutes. 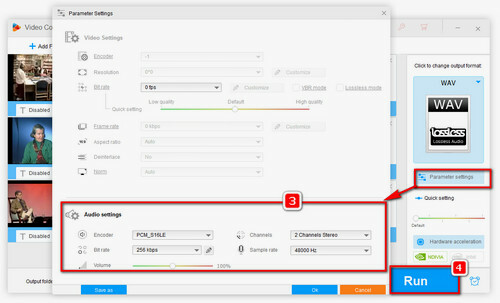 Select the output format from 8 options (MP3, WAV, iPhone ringtone, M4A, FLAC, OGG, MP2, AMR). Click on the “Extract audio” to convert AVI to audio. You can download the output file after the conversion, the output folder depends on your browser. There is another extremely simple way, by changing a file name extension to the audio format you want, to extract audio from AVI. After that, the file can be played normally on an audio playback device, but the file will keep its original size which makes it too large as an audio file. Please note that the file might be unusable after doing so, be sure to back up the original file first. I’m pretty sure those contents above meet the needs of most “extract audio from .avi files” situation, I hope your problems get solved after reading this article. Do You Want to Extract Audio from DVD? Decrypt DVD CSS, Multi-angle, Sony ARccOS, Cinavia Protection, Region Code, UOP, RCE and Disney X-Project DRM to extract audio files from DVD. You’ll get a flawless duplication of the original DVD audio files in no time.